Saturday & Sunday, July 14-15—RUTLAND—The Rutland Area Vehicle Enthusiasts (R.A.V.E.) are pleased to invite everyone to attend the 39th annual R.A.V.E. Car Show and Flea Market on Saturday, July 14 and Sunday, July 15 at the Vermont State Fairgrounds in Rutland. 2018 marks the 100th anniversary of the Chevy truck as well as the 40th birthday of R.A.V.E.! 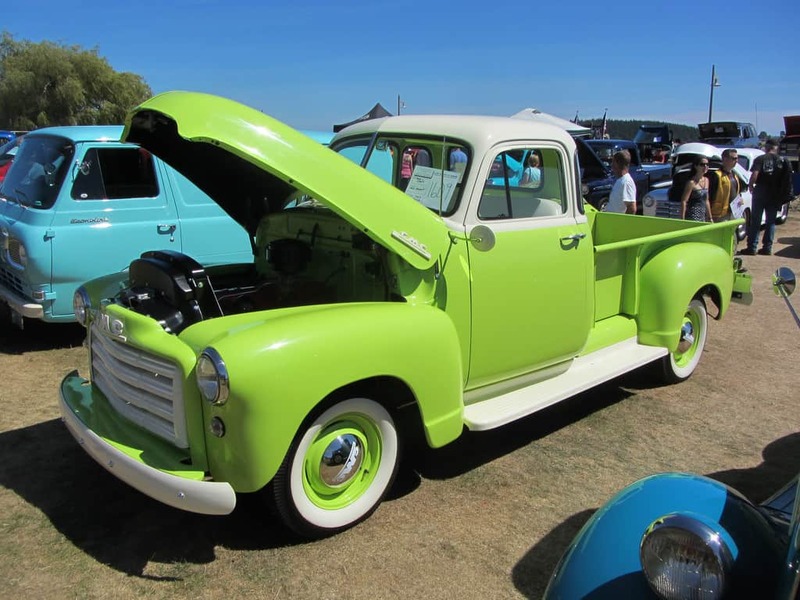 Events planned for this year’s show include cars for sale, an assortment of flea market vendors, retail vendors, handcraft vendors, food vendors, music, door prizes, a coloring contest for all ages, spark plug changing, piston toss, and a few new games. There will be a photo opportunity area setup complete with props. NSRA safety inspectors will available throughout the weekend to do a safety inspection of vehicles. There will be a car cruise that leaves the fairgrounds Saturday afternoon at about 3:30 p.m., taking participants on a scenic tour of the area. New this year, the Rutland Area First Robotics Team through Stafford Technical Center and GE will be giving demonstrations from 12-2 p.m. each day. On Sunday, the Vermont Youth Safety Council will be there with the Turn Off Texting driver simulator. Rutland Sheriff’s Department/Vermont Highway Safety Program will have a rollover demonstrator on hand. A 50/50 raffle will benefit the WSYB Christmas Fund. There will be one drawing on Sunday afternoon, with tickets being sold all weekend. A silent auction will benefit the Rutland Free Clinic. Other donations will be made to area charities from the profits of this show. This year’s show is also a Cruisin’ New England magazine Super Wheels Showdown qualifying event: one vehicle will be chosen to go the showdown in Shrewsbury, Mass. in the fall. New this year, participants will be giving away five additional “favorites” trophies on Saturday only, for those that cannot attend on Sunday. On Sunday at 3 p.m., organizers will be presenting trophies to the Favorite 50 vehicles in the show, along with specialty awards. Show hours are Saturday, July 14, 9 a.m.-3:30 p.m.,and Sunday, July 15, 9 a.m.-3 p.m. Spectator admission is a $5 donation; under age 12 is admitted free. Show car registration begins at 7 a.m. each day and the fee is $20 for a car and two adults. Pre-1948 stock vehicles are admitted free. For more information, call 802-779-2556 before 9 p.m., email at ravecarclub@gmail.com, or visit ravecarclubvt.com. This year marks the 100th anniversary of the Chevy truck. See ones like this, and many more makes and models at the Vermont State Fairgrounds, July 14-15.